England Women U20 head coach Jo Yapp has named her match day 23 for the England Women U20 team’s fixture against France Women U20 in Stadium Nord, Villeneuve d’Ascq, Lille on Saturday 24th February, K.O. 14:00 GMT, live stream via www.ffr.fr . 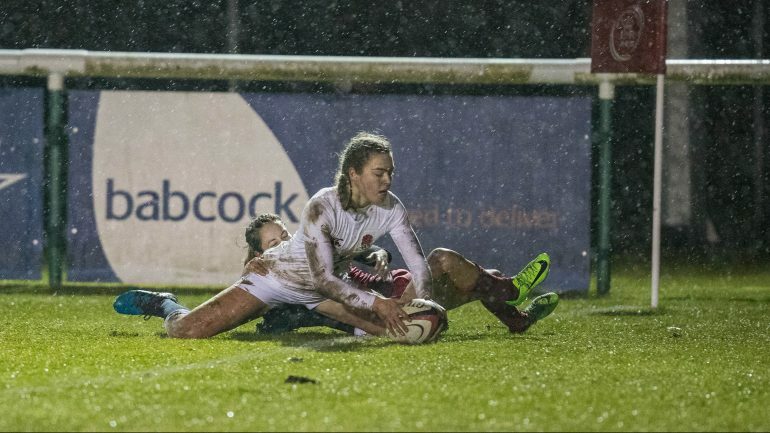 Yapp makes two changes to the side that secured their biggest ever win – 44-0 – against Army Women, and saw 13 players make their England U20 debuts at the Army Rugby Stadium last Wednesday. The starting 15 remains unchanged with full back Emma Uren (Saracens Women) captaining the side. Brooke Clarke (Worcester Valkyries) – who was awarded player of the match last week – and Lilian Stoeger-Goddard (Bristol Ladies) are included on the wings. 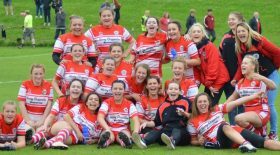 The centre partnership is formed with Phoebe Murray (Bristol Ladies) – who scored two tries against Army – and Lucy Attwood (Bristol Ladies) alongside half backs Tazmin Bricknell (Gloucester Hartpury) and Helena Rowland (Saracens Women) who are included at nine and ten. The scrum again features Ellena Perry (Saracens Women), Leah Bartlett (Loughborough Lightning) and Ellie Mulhearn (Bristol Ladies) in the front row with Hollie Cunningham (Bristol Ladies) and Rosie Galligan (Saracens Women) in the second row. In the back row, Sarah Beckett starts at No.8 with Charlie Wilcock (Worcester Valkyries) – who is vice captain of the side – at open side flanker and Tabitha Copson (Gloucester – Hartpury) included at blindside flanker. Two new additions are named on the bench, Ellie Gilbert (Gloucester-Hartpury) and Zoe Harrison (Saracens Women), who is available for selection after sustaining a minor injury (knee) while in camp with the senior England women’s team. Michaella Roberts (Bristol Ladies) – who scored a try against the Army – Rianna Manson (Darlington Mowden Park Sharks), Hannah Botterman ( Saracens Women), Cara Brincat (Worcester Valkyries), Ella Wyrwas (Saracens Women)and Lizzie Adam (Loughborough Lightning) are also named on the bench.